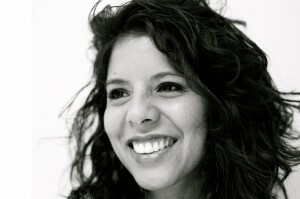 Carmen Román is a native of Peru. She was raised both in Lima, Peru, and in the Bay Area. She was first introduced to Afro-Peruvian dance through De Rompe y Raja Cultural Association, a troupe she performed in for 14 years. 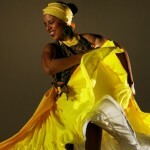 In 2010 she became the founder and artistic director of Cunamacué, an Oakland based dance troupe dedicated to the promotion and continuity of Afro-Peruvian culture. As a choreographer, her work is deeply rooted in Afro-Peruvian dance vocabulary but also uses movements inspired by other dances of the African Diaspora and modern dance to express current contemporary themes. Her work has been presented at Yerba Buena Center for the Arts, ODC Theater, Zellerbach Hall, Museo Nacional Afroperuano (National Afro-Peruvian Museum), Dance Mission Theater, Malonga Casquelourd Center for the Arts, and Brava Theater. In August of 2012 Carmen was invited to present work at Kutuká International Festival in Cañete, Peru and for this purpose, traveled to Peru with members of Cunamacué. In December of that same year, Carmen conducted field research in El Carmen, Peru, for her thesis paper “The Danced Spirituality of African Descendants in Peru”. The paper focused on the dance Atajo de Negritos as an example of Afro-Catholicism and has been accepted for publication in a special edition of the African Performance Review. Carmen holds a B.A. in Dance from SFSU and an MFA in Dance from Mills College.